Tried and tested Homeschool resources. You are currently browsing the archives for the Book Studies category. Recently I asked an author if she knew of any other authors who provided FREE activity pages to go with their books and she told me about Sleeping Bear Press so yesterday I looked them up. Wow! There are some truly great resources here. Yes, you do have to purchase the books if your library does not have them but due to the nature of most of their books the kids will learn a lot from each one and the books will grace your library for many years and be great reference tools. Let’s support the authors and publishers that go the extra mile to provide additional resources to aid in the reading of their books. As I research and find more I will let you know! 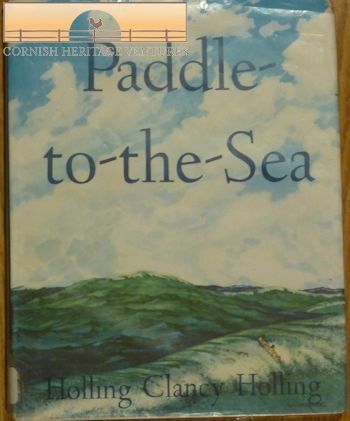 The story follows the canoe’s adventures as it travels through the lakes. The book not only has full colored illustrations on the right hand page but also gray scale images on the left hand page which add a lot to the information being read about. At the end of the book there is a double page map showing Paddle’s journey which really lets you imagine the magnitude of the trip. Paddle-to-the-Sea gets stranded a few times but when people rescue him they always read the bottom. At one point Paddle gets a brand new paint job with a new ‘plate’ on the bottom along with fresh ballast. Each place he visits, whoever finds him adds that name to the plate. One winter he lives with a lady close to Montreal who keeps him safe until the St. Lawrence River unfreezes again in Spring. This book is VERY educational as along the way you will learn about different animals, the shapes that the Great Lakes remind folks of, the amazing amount of industry that was up there not to mention the fascinating fact that although fresh water, the lakes are in some ways very much like the ocean with huge waves, beaches, lighthouses and ship wrecks. HIGHLY RECOMMENDED for every family’s library. Want to do a more in-depth study with your children? Julie, over at Butterflies and Barefoot Lasses created a a wonderful set of FREE printables to compliment this book. As you can see below there is quite a variety and we did not do them all! 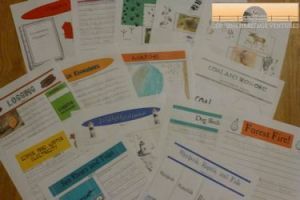 Using these printables you will cover history, science, geography, writing etc. We did the book in 8 days – reading and studying a few chapters each day but you could easily draw it out longer. The only thing I switched out was the map. I wanted one with a little more detail so took a FREE one from FreeUsAndWorldMaps.com (scroll down the page to find the USA and Canada one) and cropped it to just have the north eastern US and Canada. Worked really well. Your library will probably have this book but if not you can purchase it from Amazon or on Ebay. Recently we have been studying the book, Paddle to the Sea, a true classic which I will share more about later in a separate post. Today, as Paddle had now made it to Lake Erie, I thought it would be perfect timing to study the building of the Erie Canal. I have to admit that the prompting to study the book The Amazing Impossible Erie Canal by Cheryl Harness was not my own but came from Lauren Hill over at Mama’s Learning Corner. Lauren studied this book with her children and created some FREE worksheets as well as sharing some wonderful You Tube links all of which you can find here. All I had to do was purchase the book as our library did not have it. The kids learned a lot this morning about how canal locks work and also enjoyed the song in the back of the book sung by Bruce Springstein. (See Lauren’s page.) 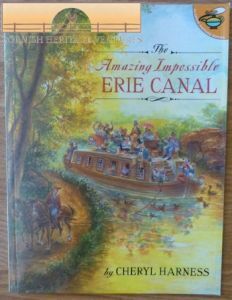 Did you know that the Erie Canal was the longest canal in the world at 363 miles and had 83 locks! Now we just have to make sure we visit a working lock on our travels somewhere. Can you see a canal boat trip in our future? It is no secret that we enjoy reading books by Roald Dahl in this house. However finding study guides that are suitable for our children can be hard so when I wanted them to study James and the Giant Peach earlier this year I decided to tackle the job of creating a study guide myself. It turned into a mammoth task but one that all enjoyed once finished. I am now sharing it with you in the hopes that you too can make good use of it. 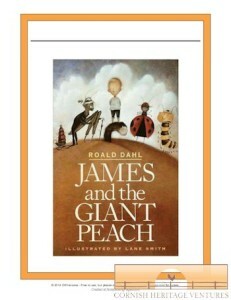 As you will see, once you have downloaded the file, there is more than a study of James and the Giant Peach included. We also studied each of the characters, even taking a “trip” to New Zealand for the glowworm! It is suitable for grades 1-5 but could easily be adapted for older children. I look forward to hearing what you think. All four books are available in paperback with the last two in the series out on Kindle. Jem is a 12 year old boy whose father is the sheriff of Goldtown in California. Times are hard as Jem’s mother has died and so Aunt Rose and her son, Nathan, have come to live with the family. Jem has a younger sister, Ellianna. Here’s the exciting part though! 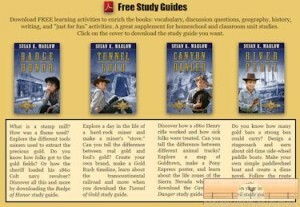 It was not until we had finished the first book that we learned that there were FREE Study Guides available for each book! They are EXTREMELY well done and very educational. The truth is, that some FREE study guides are not worth the paper they are printed on but these are exceptional. You can also purchase Lapbooks for each book on Susan’s website but I decided against these as I think Daniel will learn just as much from the Study Guides. Susan K. Marlow has written two series for girls, the younger one of which I plan on sharing with you tomorrow. 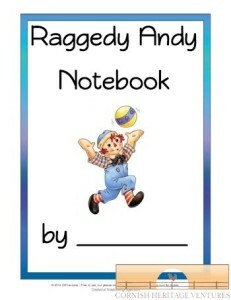 Here is the Raggedy Andy Notebook to go with the Raggedy Ann ones I shared with you a while back! 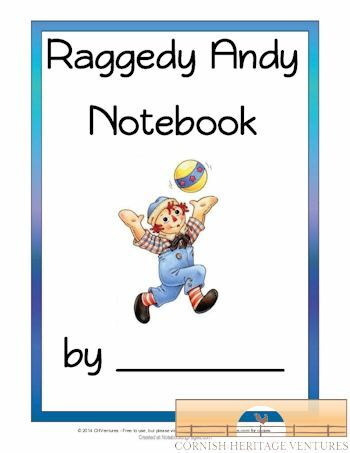 Raggedy Andy is the friend of Raggedy Ann and they are excited to be reunited after over 50 years! SO yes, you will read a lot about Raggedy Ann in the Andy stories as well. Both sets of stories were created by author Johnny Gruelle. This book is another one that I consider a classic. You can download the book FREE from Gutenberg. Hannah really enjoyed studying both books and you will often see her looking back over them. I put both the book and all her work in one folder so that she can keep it and easily reference it when she wants to. Narration skills I have been reading how important (and lacking in mainstream education today) narration skills are i.e. the ability to be able to tell back a story just read. When Hannah started this she was absolutely hopeless! However it only took her about about two stories to get the idea that she had to really listen in order to be able to tell the story back. A good and essential training for a child that finds it hard to sit still and concentrate. Depending on your child’s abilities, this curriculum could be used for the older child. Instead of narrating to you and you writing it down, he/she could rewrite the story themselves. Raggedy Ann is a beloved rag doll created by author Johnny Gruelle. This book is one that I consider a classic. Raggedy Ann has such a nice personality and her adventures are for young boys and girls alike. You can download the book FREE from Gutenberg. When wanting to study this book with Hannah (7), I could not find exactly what I was looking for so created my own. It has been tested and the Raggedy Ann Notebook is now available for you 🙂 Each chapter has a corresponding narration page, questions page and a copy work page. Several coloring pages are also included. On top of that I also created an answer booklet. Hannah loves to draw and color so many of the question pages also have a place to draw something appropriate to the chapter just read. I have been reading how important (and lacking in mainstream education today) narration skills are i.e. the ability to be able to tell back a story just read. When Hannah started this she was absolutely hopeless! However it only took her about about two stories to get the idea that she had to really listen in order to be able to tell the story back. A good and essential training for a child that finds it hard to sit still and concentrate. P.S. 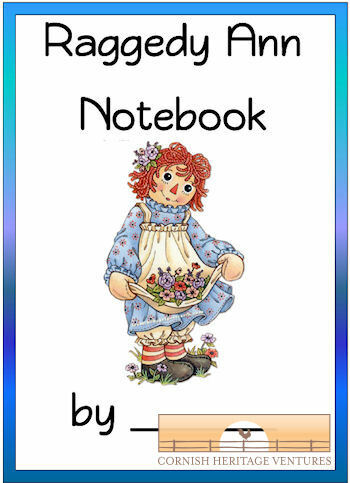 Don’t forget the Raggedy Ann bookmarks I shared with you a while back. - Another Web Solution by CHVentures.